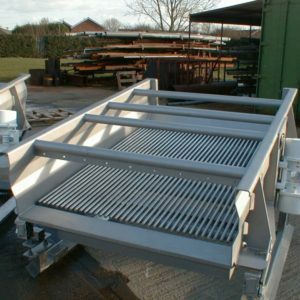 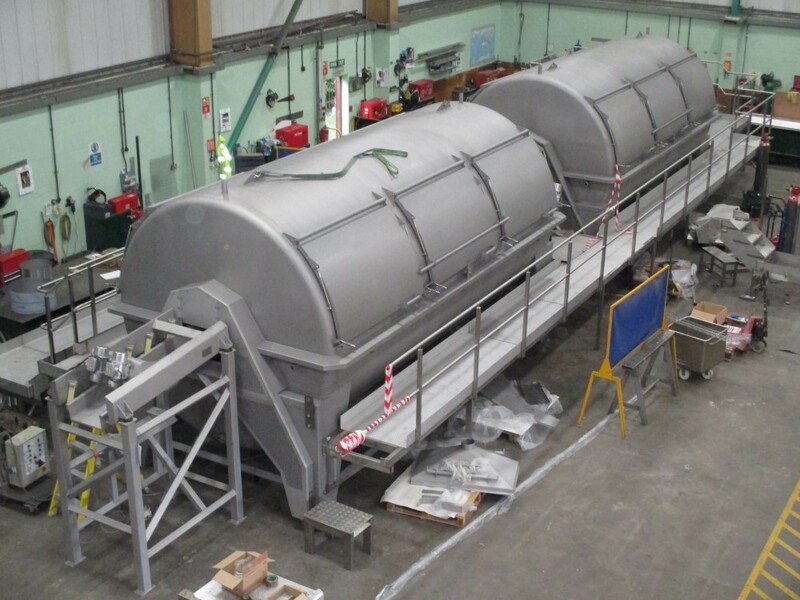 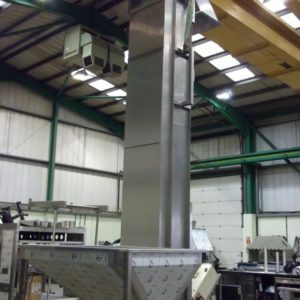 The Rotary Drum Blancher is used to hot water blanch products with water at up to 98ºc. 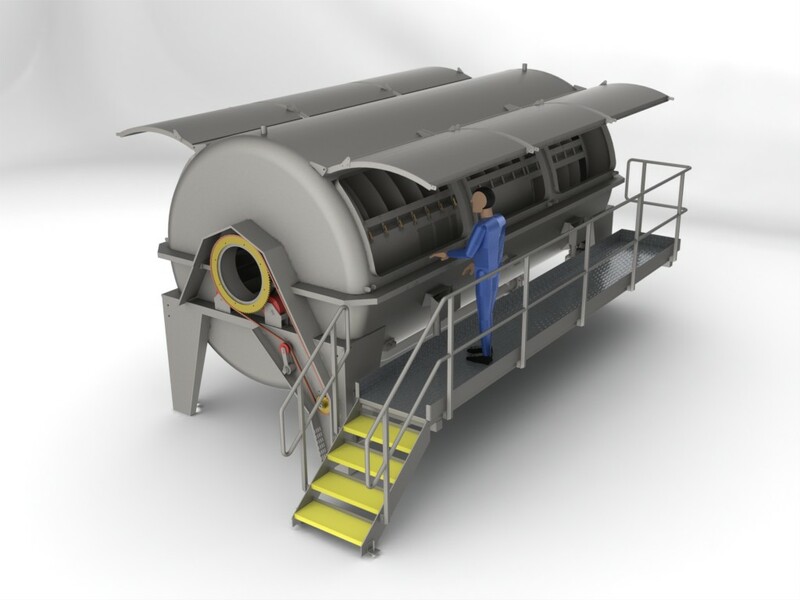 Capable of rehydration of a wide range of materials, including navy beans and rice with dwell times up to 25 minutes. 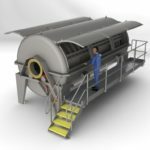 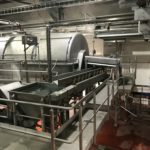 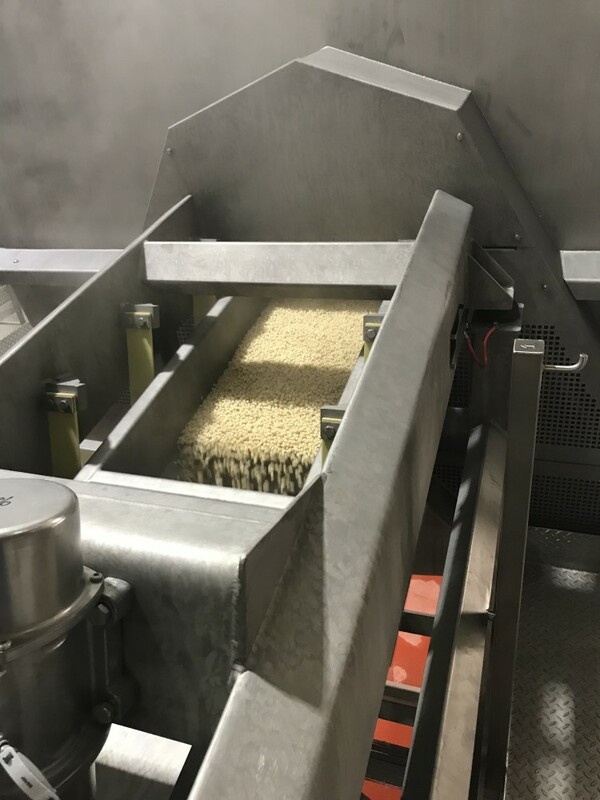 Product is fed into the Blancher and gently fed through a drum suspended and rotating in hot water. After the required dwell time, lifters fitted in the form of a Ferris wheel at the end of the drum, discharge the product into the outfeed system. 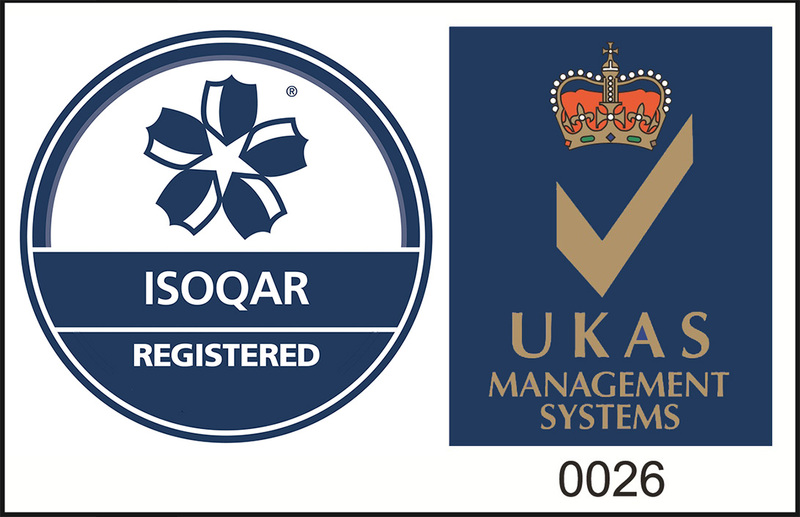 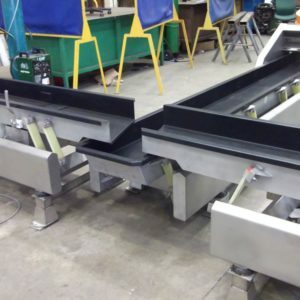 Radiused drum ends and tank corners greatly alleviate hygiene cleaning problems, whilst product damage is kept to an absolute minimum by the design of the blancher drum and screens. 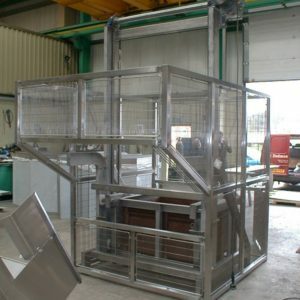 The perforated drum screens are close fitting, therefore minimising sharp edges and are removable to facilitate cleaning. 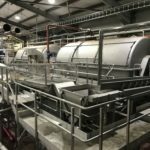 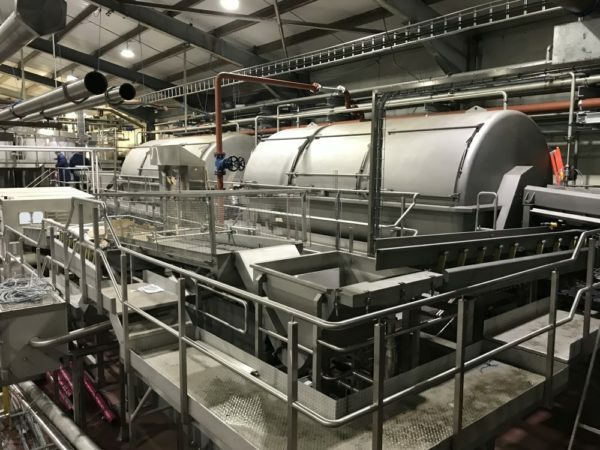 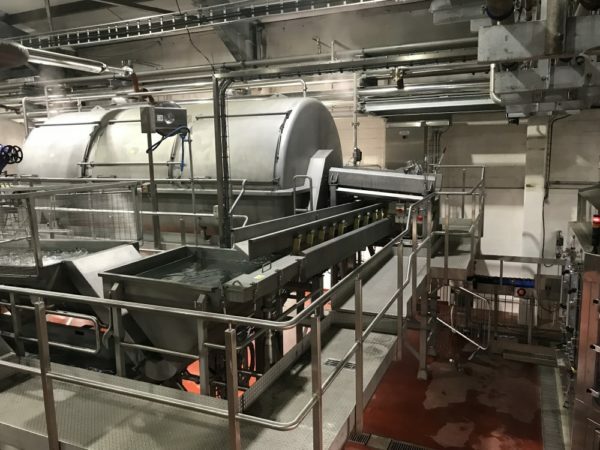 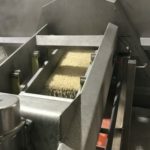 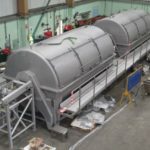 Range of drum lengths and diameters ensures blanching process can be scaled to suit your product and throughput requirements to maximise efficiency.